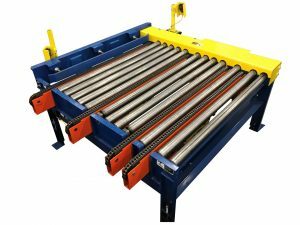 The AMS 90° Transfer System is designed for high production rates coming from sort & repair systems when building space is at a premium. 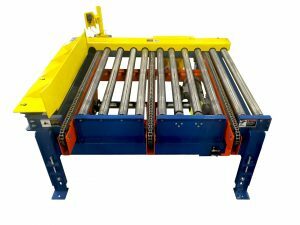 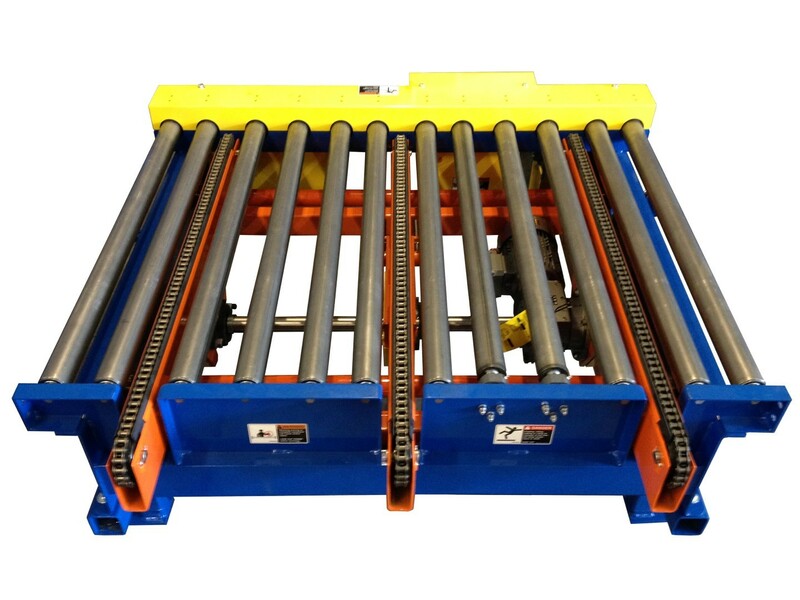 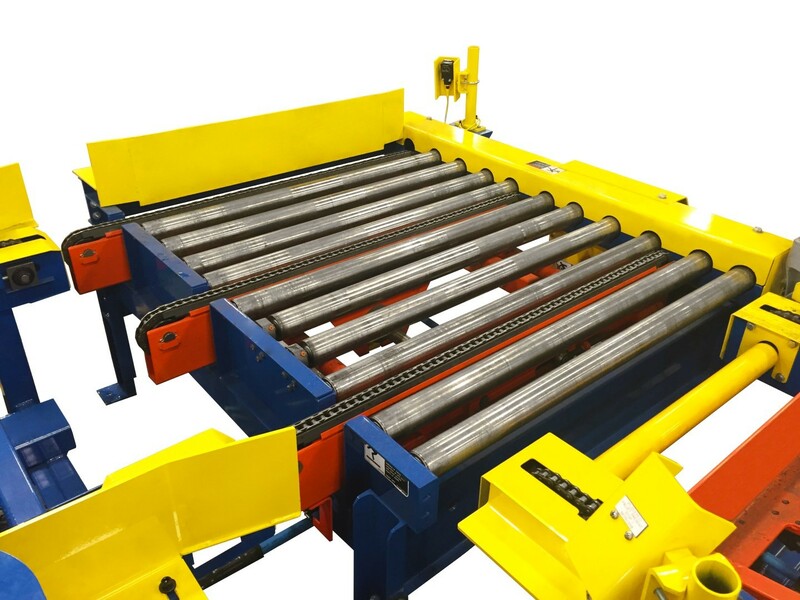 The 90° Transferring System can be integrated into material handling applications, automated repair lines, wood recovery systems, and PalCoat Paint Systems. The 90° Transfer is fully automated with Micro logics controls & pallet detection.